Place : Auditorium of the Faculty of Economics, UNNES. 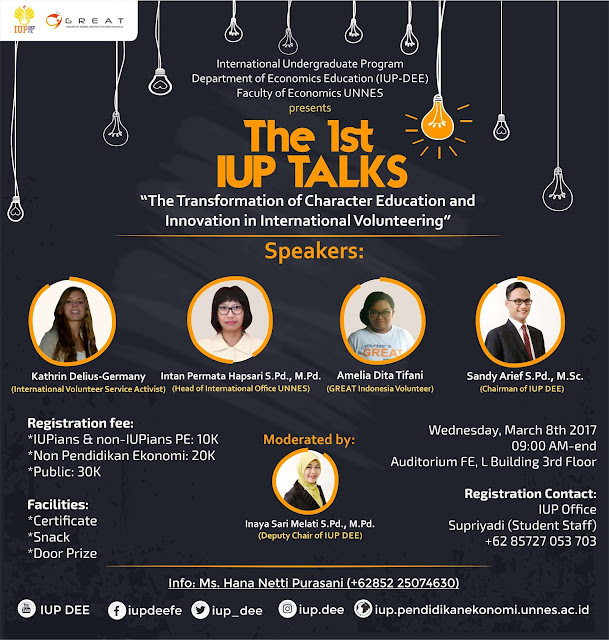 For information please go to #IUPDEE website: iup.pendidikanekonomi.unnes.ac.id or click. For online registration, please register yourself here. This is special event convenes various stakeholders as speakers so Come and Join us!! FUNGSIONARIS HIMA PE 2017 "KABINET BERSATU"